They may do the same type of work and look almost similar but there are some basic differences between OTG and microwave oven. There is the difference in the way they do their work. The way they get use the electricity to heat up their heating element is different. As you go through this article you will know the difference between OTG and Microwave Oven in detail. What to choose between OTG and Microwave Oven? OTG is the short form for Oven, Toaster, and Grill. You can see that this small portable device is used for three different purposes. It uses the heating coil to heat the food and this coil is present on top and bottom of the food. You can use either one of the coils or both coils together depending on your necessity. The temperature in OTG is controlled by the thermostat that helps you cook any food with ease and comfort. 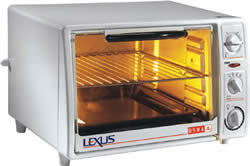 The microwave oven is also known as microwave convection oven and uses the microwave to heat / cook the food. This oven is used mostly to heat up food instantly but these days there are several other cooking that is done using the microwave oven. It is popular for baking cakes and roasting different kinds of food. In other words, the microwave oven is your best friend when you don’t have enough time and want to eat something instantly. We shall see how these two similar looking ovens differ from each other. Let’s review some of the important factors that are working in a different way for these two. We will review some basic difference between OTG and Microwave Oven below. They both run on electricity, however, the way they consume electricity is different. OTG uses the electricity to heat up the coils made up of Nickel/Chromium. Once the heating element spreads heat from the current the food inside starts getting the heat and eventually cooked. The problem with this kind of heating is that it consumes more electricity and the distribution of heat is not even. There is the probability that the outside of the food is overcooked while inside may remain raw. Microwave oven, on the other hand, uses the microwave to heat the food. Microwave consumes less electricity compared to OTG and food cooks faster here. There is even distribution of heat in microwave oven compared to OTG and there is more space inside the microwave oven. The speed required by OTG to get heated and cool down is more compared to the microwave oven. It means you must have to wait in between if you have more food to cook in OTG. Microwave oven, however, is much economical with quick heating ability. The pricing for both ovens is almost similar and depending on the brand you choose there is an economic model available. The cooking time for OTG is somehow more compared to the oven. When it comes to the economy in electricity microwave has upper hand as it consumes less electricity. This, however, changes in the amount of food you need to cook. There are options available for temperature control in OTG and can be managed manually. 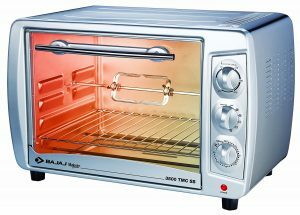 In the microwave, the oven temperature is usually managed automatically. However, in the microwave oven, you might as well set the temperature when required. Depending on the food you cook you can manage temperature in both OTG and microwave oven. The difference between OTG and Microwave Oven also comes in size of the devices. OTG is small and portable compared to the microwave oven. OTG is plugging and use the appliance and come with a removable wire rack. You can find the baking pan in OTG as they are mostly used for baking small cakes. A microwave oven is one of the most important as well as essential kitchen appliances that are present in almost every house nowadays. 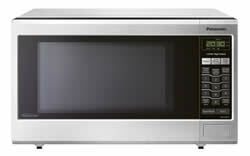 The reason behind the popularity of microwave oven is because of the “time efficiency”. Now the days are gone when people used to use microwave oven just for the purpose of heating the food. It makes it easy to cook restaurant-style dishes adding the class of royalty to it. 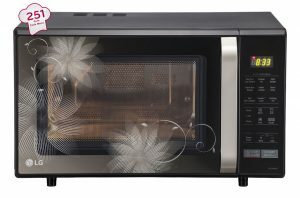 There are different kinds of microwave ovens present such as the grilling microwave oven, OTG machine and as well as convection microwave oven. The choice is yours and it should depend on few factors. If you are cooking enthusiast and have enough time to make food for yourself you may opt for OTG. You will have enough time to prepare food and use your skills for baking and cooking. If you are not so good at cooking and looking for something that can prepare food instantly you must buy the microwave oven. With OTG you must be careful as they have tinged elements that can hurt you. The microwave oven does not have such things to worry about. Other factors like the number of people and variety of food must be considered while choosing your cooking device. For more number of people and variety you can buy OTG and for less people with simple cooking and heating microwave fits better. Although there is few difference between OTG and microwave oven the working and use of both devices are almost similar. The major difference is the amount of cooking time and the heating element used.